So I will do just that! Such lovely colours don't you think? That Rich Razzleberry always throws me for a bit of a loop. I don't really have anything that comes close to that colour until now!! I was sneaky with this combo! then made my own swatches of the colours by importing the colours with the paint can & dropper tools. Then printed them out and voila, instant matching colours!! The dies are all from Papertrey Ink. 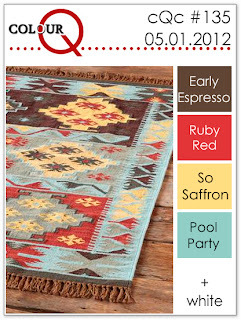 Please head on over to the ColourQ blog to have a peek at all of the wonderful inspiration from the rest of the DT. Then play along, and link up your own fabulous creations. You have until Sunday June 3rd at midnight to play along. man, it's casual friday - on sunday! 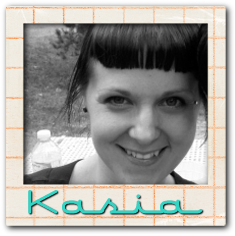 The CAS-ual Friday challenge blog put out a new challenge Friday that completely piqued my interest. Mostly because I find this a difficult topic, and with Father's Day coming up, necessary. I know everyone is so over the mustache thing, but I am still loving it!! And really how much more masculine can you get than a mustache. Also I guess a very neutral colour scheme helps keep it masculine! I had to add some sort of embellishment so buttons and twine it is. The sentiment is Paper Smooches, using 2 sets to create it, My Guy and My Peeps. I cut apart another sentiment! That used to say "you're one cool chick". 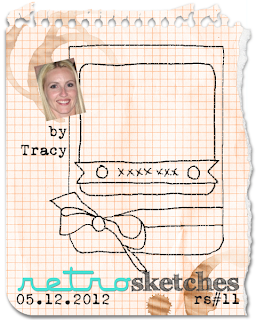 Just in case you have a little time this weekend to devote to crafting, why not take a stab at our new RetroSketch! Jackie is responsible for this beauty! Check out her awesome original here. Aren't those bright colours fabulous? Finally I produce something not cutesy!! All products are Papertrey Ink except the ink. The flowers are from their anniversary set, the sentiment is from the Signature series, and the white text is their text background stamp set. I hope you will have some time to play along, you have until next Thursday at midnight to link up your own fabulous creation. 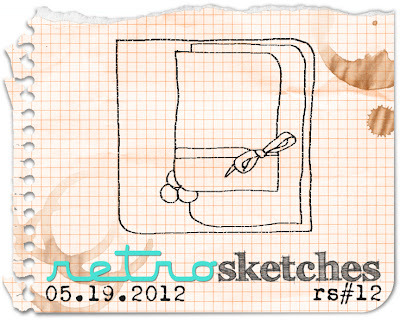 Please stop by the RetroSketches blog to admire what Arielle, Laurie and Jackie have come up with. Amazing as usual!! I hope everyone had a wonderful Victoria Day weekend. And I must apologize to my American friends, I mistakenly thought your Memorial Day weekend was last weekend as well. courtesy of Arielle from ColourQ, to share. I am always excited when crumb cake enters the mix because i love using kraft paper!! Here's my take on the colour scheme. I tried this layout the first time round without the versamarked background and it just looked too plain, so I stamped the large dots from the Paper Smooches "geo-graphic" set. 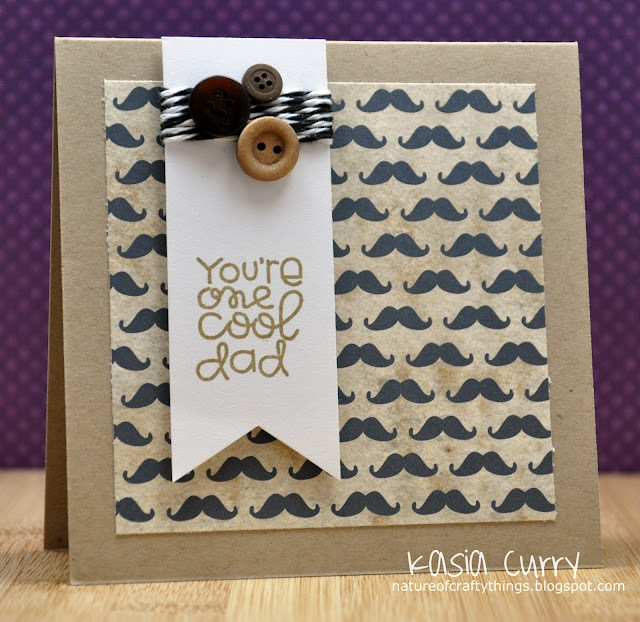 I am now wishing I had just dry embossed the background with something a little more subtle. Oh well!! The little tag is a die cut from PTI's "tiny tags", and the hello is Paper Smooches "word salad". Hop on over to the ColourQ blog to eye up the rest of the DT's fabulous creations. Then get craftin'! You have until Sunday May 27th to play along! I hope everyone is enjoying their long weekend. 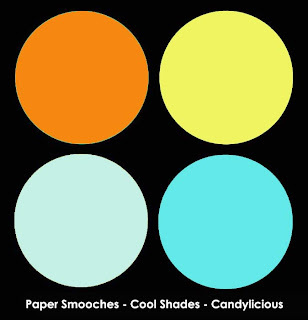 and therefore the Cool Shades portion of the month! Where we have a colour challenge to inspire us. This month's colours are bright and happy!! so I decided to make a birthday card for him. I then decided to create my own patterned papers to go with him. I used stars from the Circle of Honour, Smarty Pants, My Guy and Hang Ups sets. The bubbles are from the Sugar Rush, Swanky Snowdudes, and Surf & Turf sets. to check out all of the details and for more inspiration from Savannah and the rest of the DT. blogs to leave them some love! You have until May 27th to play along! Don't forget the winner gets a PS Pro button for their blog and a $30 store credit. How awesome is that!! And a long one at that!! 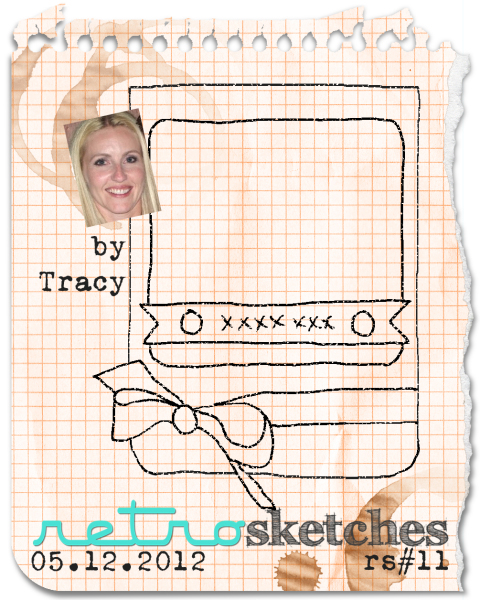 Since it's Saturday, I have a wonderful new RetroSketch to share with you. 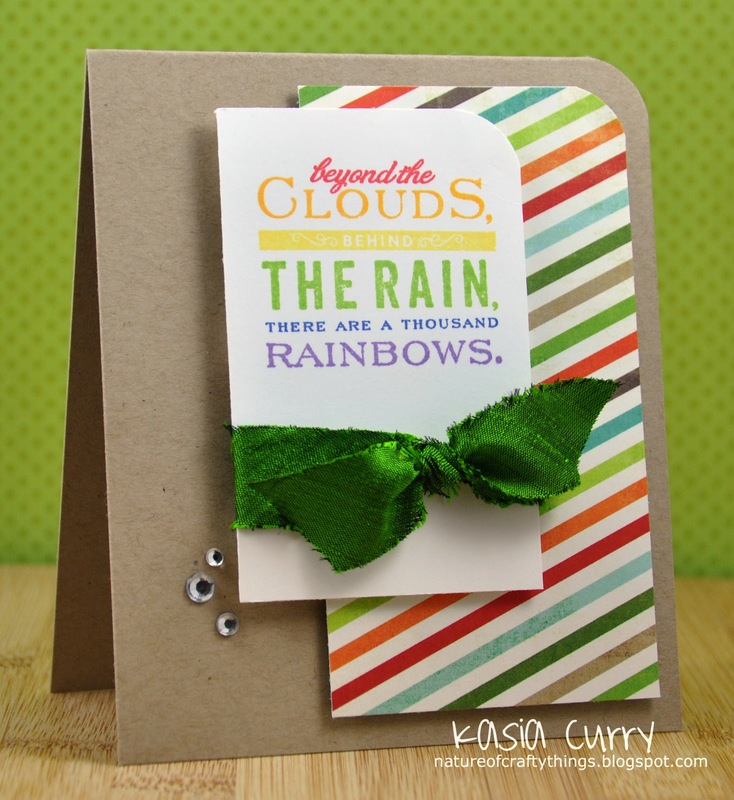 This one is based on an absolutely AMAZING card that Arielle created. You can see it in all it's glory here. Isn't it FABULOUS!! Love that jean paper, and the cut out! AWESOME!! 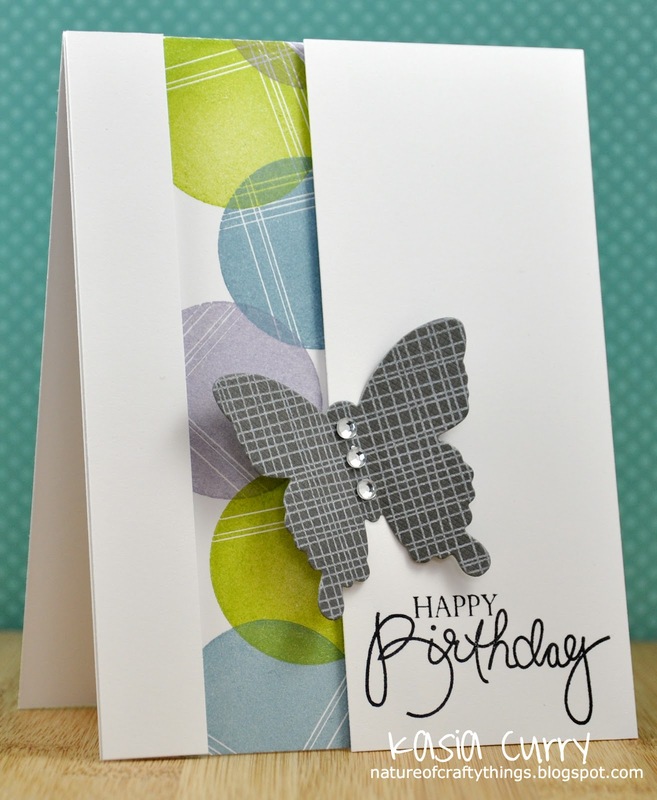 My card was made using patterned paper by My Mind's Eye, called fly a kite. I love that paper pack, it is so bright and colourful. The sentiment is a stamp from PTI's set called Movers and Shakers Sentiments. 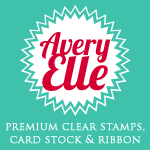 It is actually one stamp that I cut into the different sections so I could easily stamp each line. I used to have such anxiety cutting up my clear stamps, but know that I have done it a million times it doesn't bother me anymore!! The DT's cards this week are fantastic!! 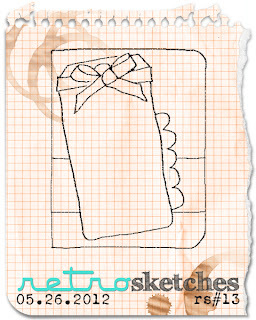 Please head on over to the RetroSketches blog to check out Arielle, Jackie and Laurie's wonderful cards. I can't wait to see what beautiful things you create. I hope you have a wonderful long weekend! I hope that everyone had a wonderful weekend. The weather here was apparently unbelievable!! Unfortunately I spent in all indoors at work. I'm just waiting for the May long weekend to be over, because we ALWAYS get one more dump of snow that weekend. 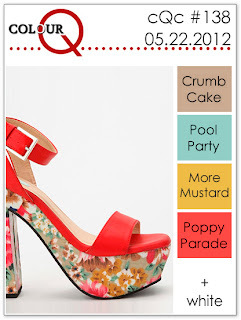 I have another ColourQ colour challenge to share with you. I know I say that all the time, but it's true!! I finally received my PTI order in the mail, and was itching to use both the trendy trees and beautiful butterflies sets. The only thing I am hesitant on is that butterfly. I feel like it's too big, or too busy or something. I do hope that you will take the quick trip over to the ColourQ blog to check out the wonderful things the DT has to share with you. You have until Sunday May 20th to link up your wonderful creation. but I wanted to share a few things with you. yet I felt compelled to say something. so I had tons of her things at her house to go through. and I found the most perfect poem. 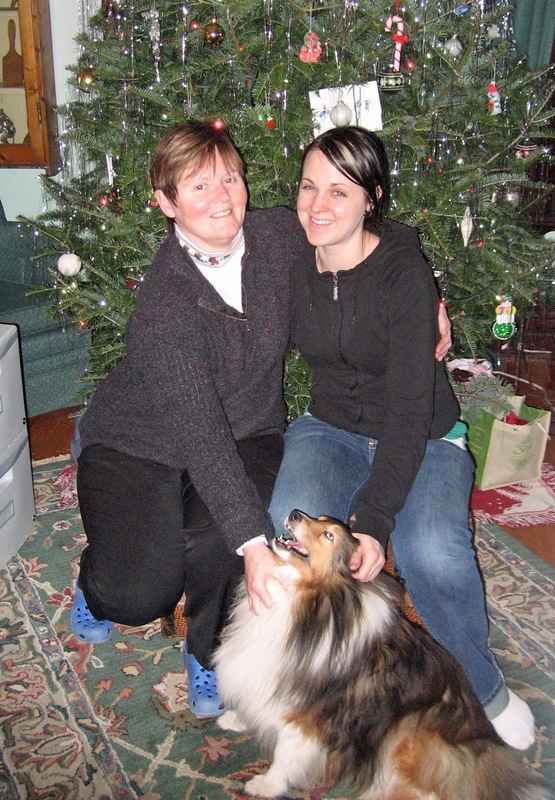 with my then boyfriend now husband standing behind me. a day to honour her. My Mom did love her flowers and so I went on to get a garden of her favourite flowers tattooed on my arm, with I am my mother's garden written in Latin amongst them. 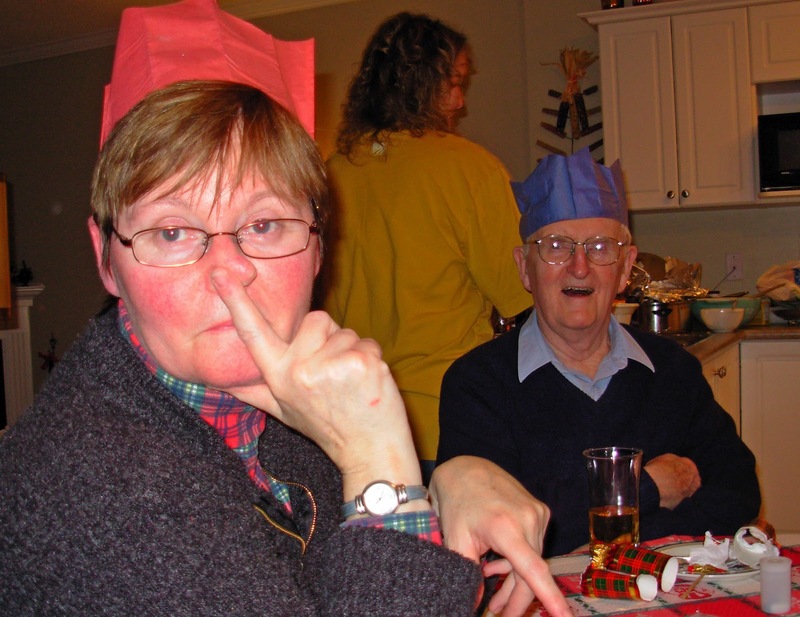 To lighten things up a bit, I have the card I made for my MIL and some silly pics of my mom. I used Paper Smooches "pretty momma" and "chit chat" sets. 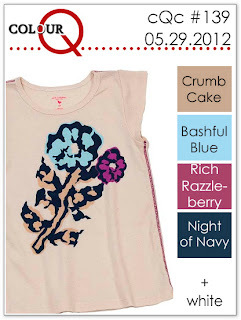 I also used Robyn Meierotto's quilting bee digi papers that can be found at Design House Digital. These are both from my last Christmas with her. I hope everyone had a wonderful week. Mine was a tad crazy, but it's over now. Let's get on to why you are here!! 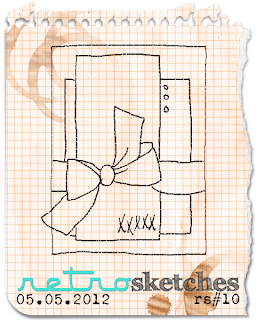 It's time for another RetroSketches sketch. 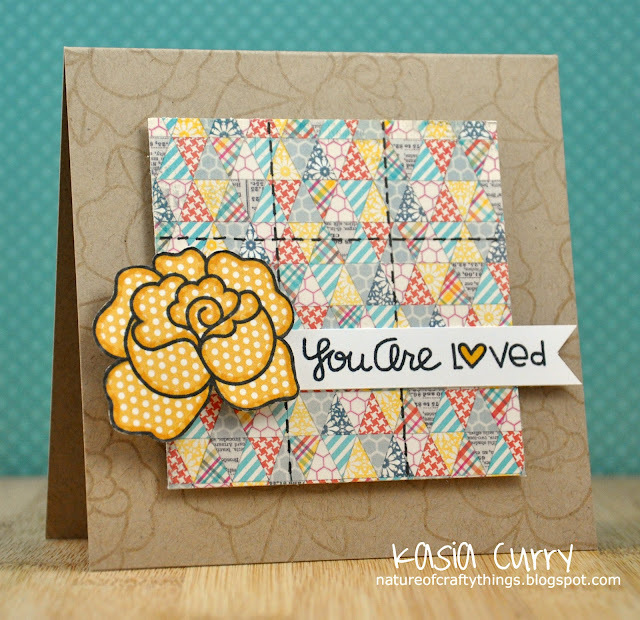 Her gorgeous original card can be found here. Well here is my take on it! Isn't she cute?? I know, I know, the mean things I do to my dog!! This is my beautiful Stella modeling my new glasses. She is definitely not impressed. At Jackie's suggestion I am going to add this to the Moxie Fab World's Spectacular Spectacle challenge. 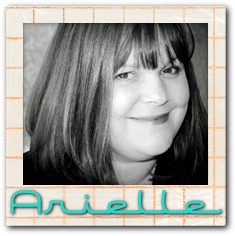 Please head on over to the RetroSketches blog to check out what the Arielle, Jackie and Laurie have created to share with you. I do hope you will play along. 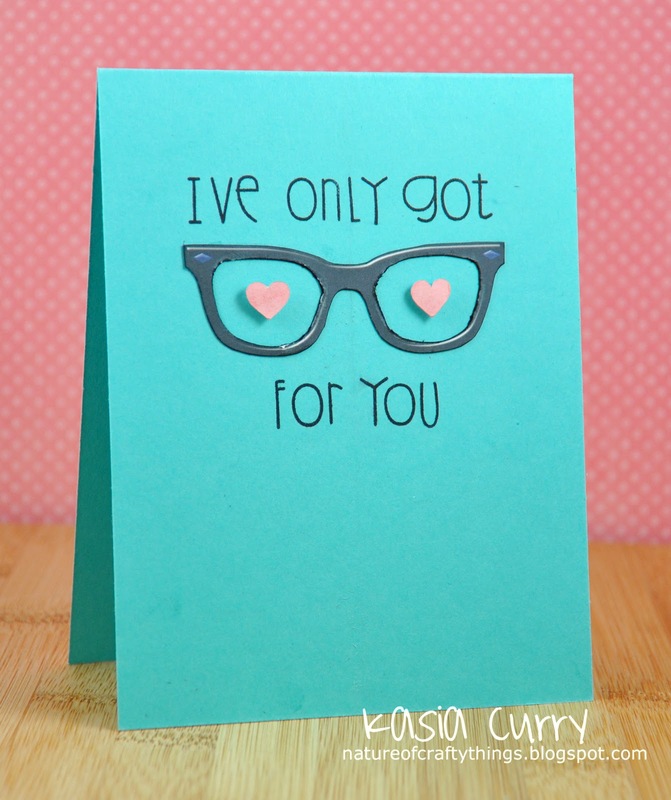 I have a easy little card that I made to let a friend of mine know I am thinking about her. 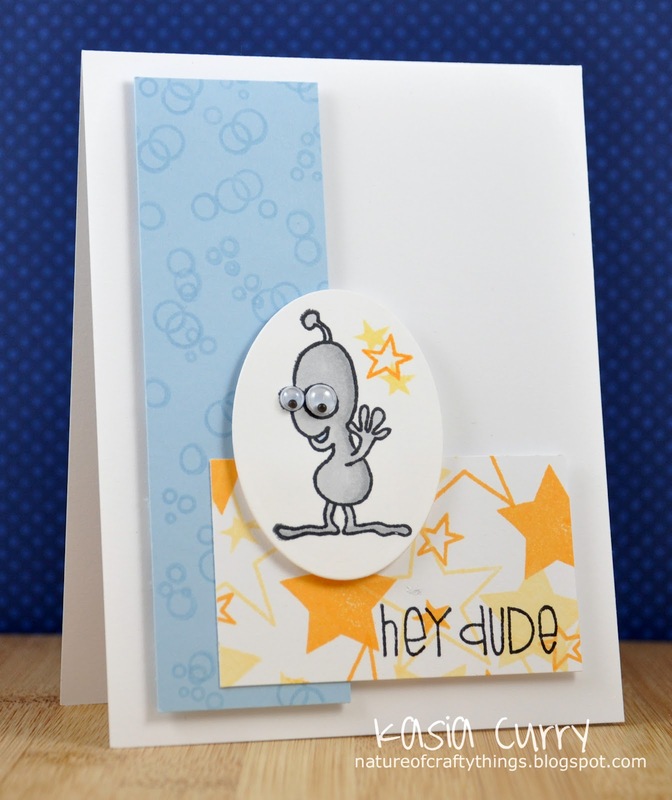 I used Paper Smooches set "word up" for the sentiment, PTI's new "background basics: postmarks" set, and the MFT "flat bottomed cloud die", that I ran through a Cuttlebug embossing folder to add a bit of texture. 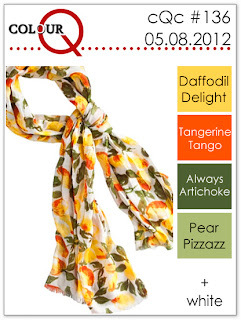 This weeks' ColourQ colours are so summery. Such a pretty scarf hey? 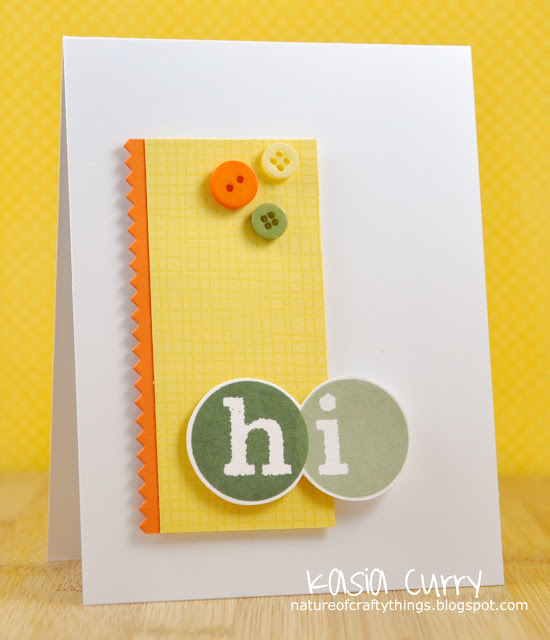 To make the "hi", I die cut some scrap paper with the PTI block alphabet dies, temporarily adhered them to cardstock. 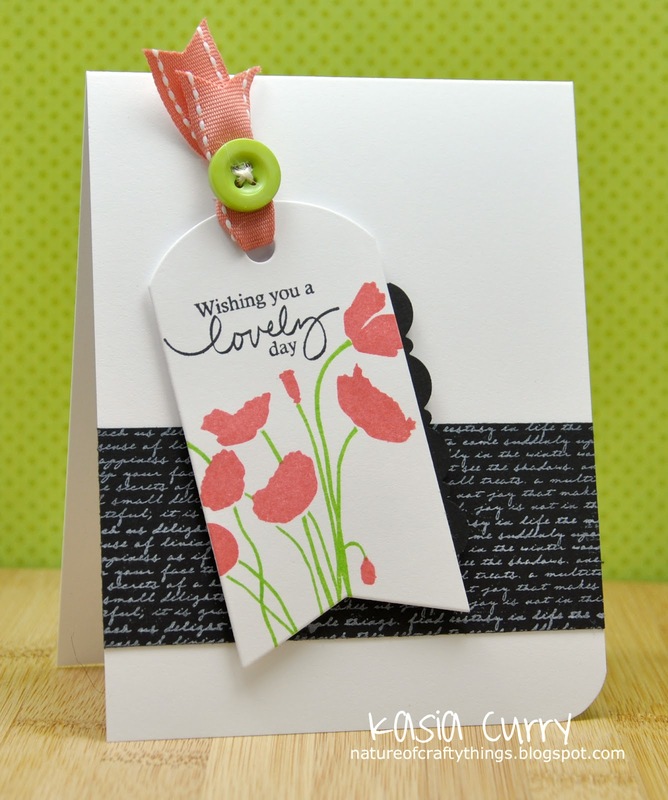 I then stamped over them with the largest circle from Beautiful Blooms 2. I think I may use a heavier paper next time because the ink bled a little. I think a more crisp line would look better!! Head on over to the ColourQ blog to check out all of the AMAZING creations from the DT. Then I hope you will be inspired to play along! And what a fabulous morning it is! Today I am celebrating my first Paper Smooches Sparks challenge!! They have changed everything up over at the Sparks challenge blog. First off, there are challenges now EVERY WEEK! How awesome is that? And every week there is a new themed challenge. The DT was split into 2 groups, each group taking alternating challenge weeks. for the trend watch and cool shades challenges. Along with Heather, Glenda & Lori. Jackie, Kimberly, Angeline & Erica will be showcasing creations for the other two challenges. 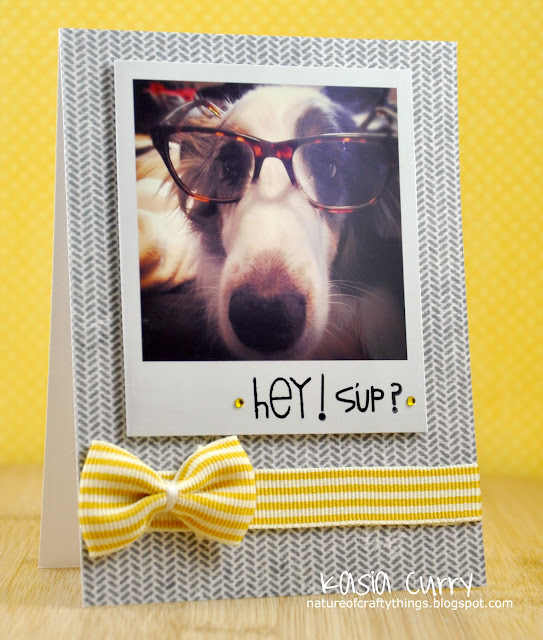 We start things off with a Trend Watch challenge! 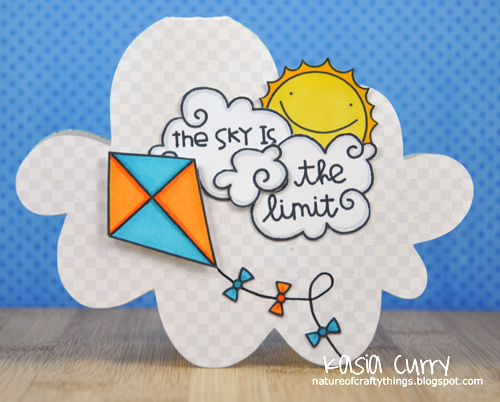 This week's trend is "the sky is the limit"
Now I chose to take this fairly literally!! Feel free to be inspired by this week's trend in ANY way!! 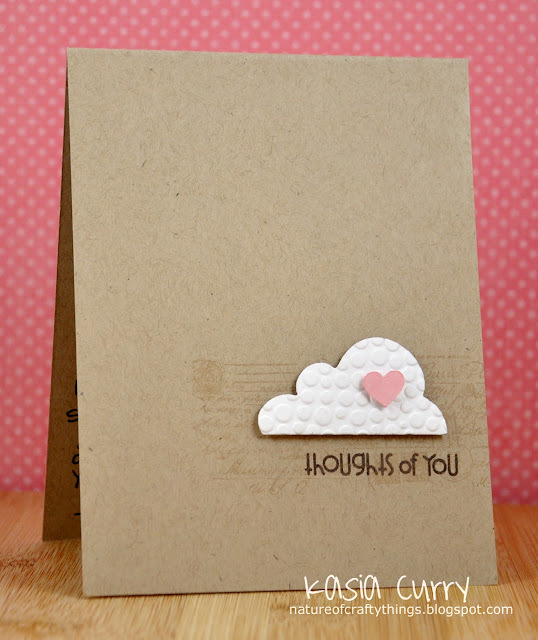 I used Kim's cloud card template for the card itself, and one of the free digital stamps that Kim offers up on the Paper Smooches blog, for the sun. 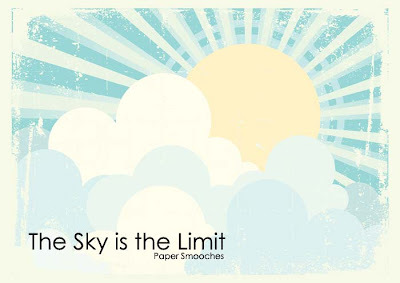 Please head on over to the Paper Smooches blog for more info and then to the rest of the ladies' blogs to see their AMAZING samples. 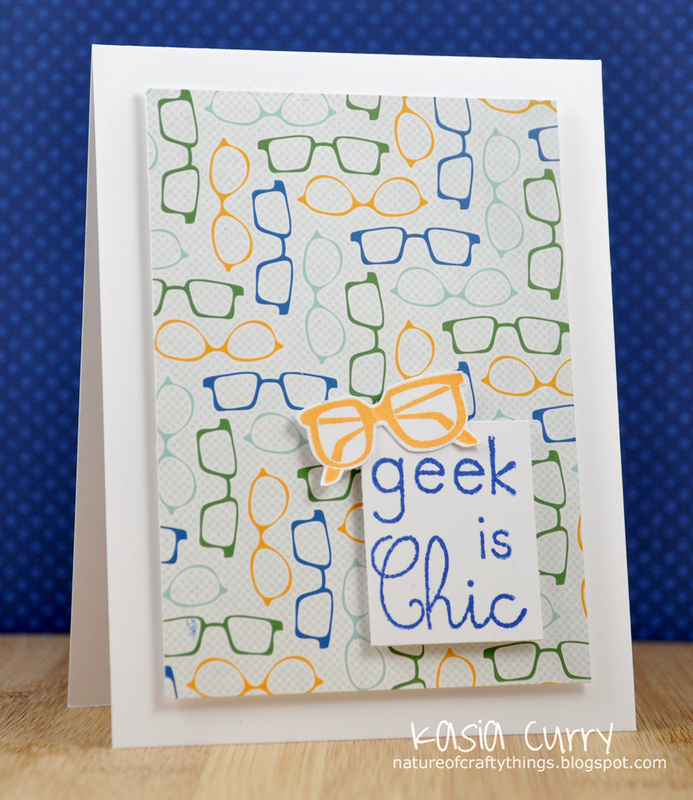 I have another entry for the Moxie Fab Spectacular Spectacles challenge to share with you. This time, I was inspired by one of the photos Cathy had in her post for the challenge. I used Paper Smooches "alphadot" to create the sentiment, some old silhouette cut out hearts I had lying around and some glasses I printed and cut out from Jen Allyson's "silly disguise stickers" digital set. I just realized as I'm typing this that I forgot to put in the apostrophe after the I in I've. Whoops!! You'll just have to pretend it's there! 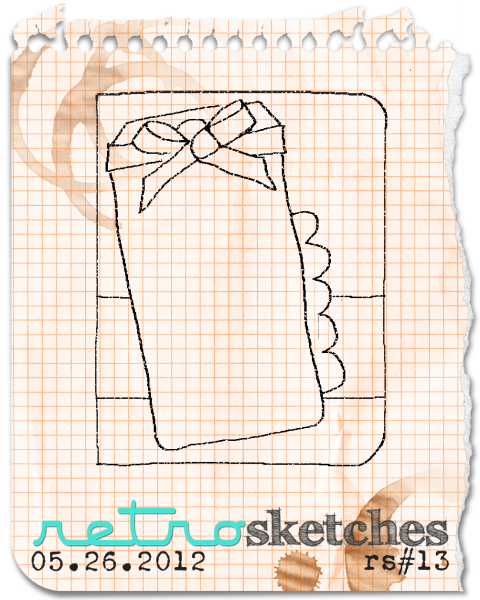 I have a fabulous RetroSketches sketch for you to feast your eyes upon. 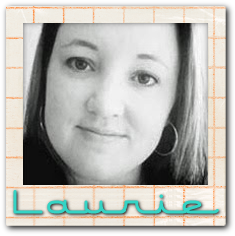 This one is courtesy of our own Laurie Willison, and if you want to see fabulous, check out her original card here. and where I placed my patterned paper. 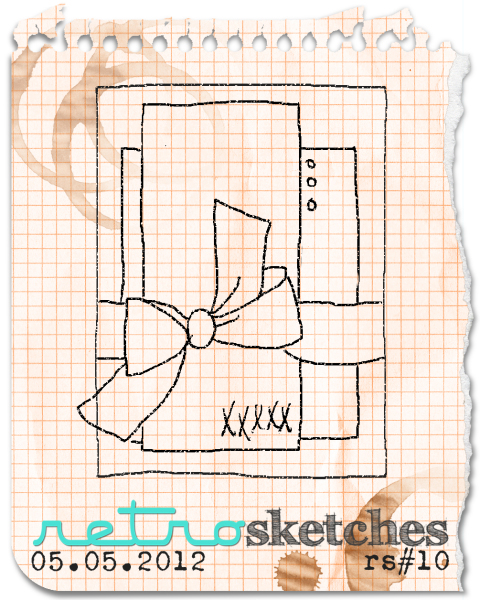 I also only placed the ribbon around the front panel instead of the whole front of the card. Honestly, it was mostly because I didn't have any large beautiful yellow ribbon!! 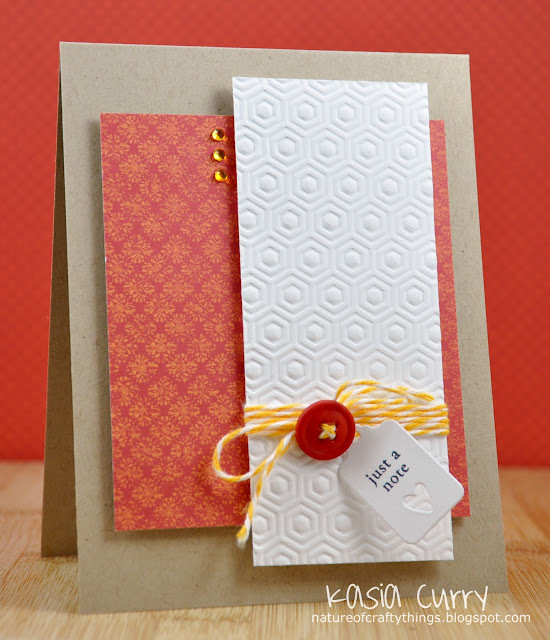 The honeycomb embossing was done using the same Spellbinders folder I used here. 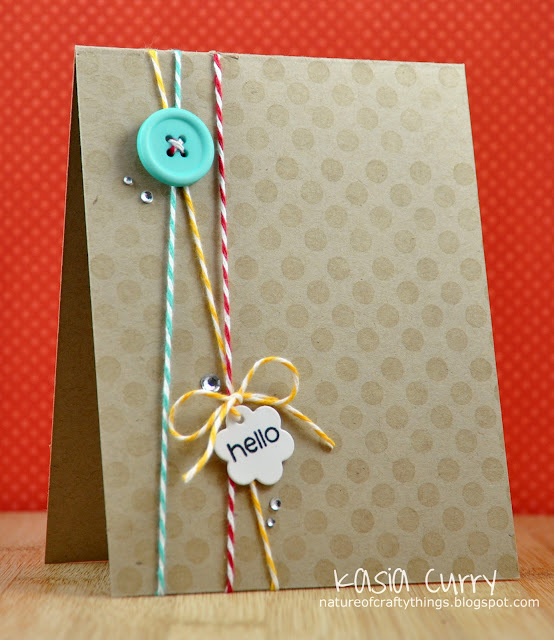 The tag is from PTI's tiny tags, and the patterned paper is CTMH. 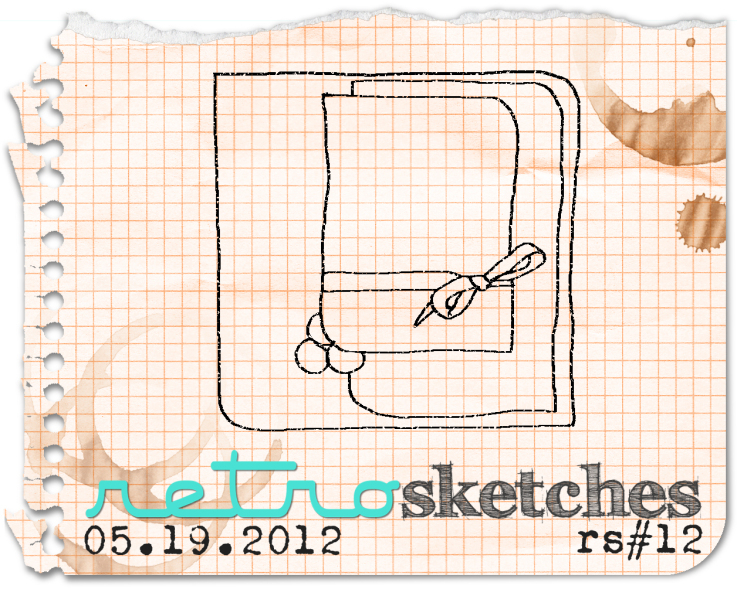 Please head over to the RetroSketches blog to check out Arielle, Jackie and Laurie's gorgeous sample for you this week. Then come play along. You have until midnight Thursday May 10th. It's Friday! Can you believe it? I had most of this week off, and have no clue where it went! I found myself at my craft desk tonight for a bit creating a simple card for Moxie Fab's Spectacular Spectacles challenge. I purchased this cool paper a while back from Design House Digital by Sara Schmutz called my shades. 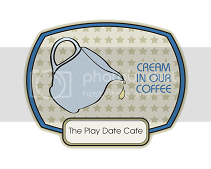 I paired that with my Lawn Fawn "clear to see" set, and an Imaginisce sentiment. I can't believe how quickly the weekend went by. colour combo to share with you. Some interesting colours to put together! I know the type in the background looks black but I swear it's brown! I used the text background from PTI, the umbrella and sentiment are Paper Smooches. The cloud is a My Favourite Things die called flat bottomed cloud. 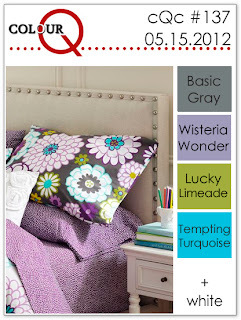 I hope that you will go on over and check out what Arielle and the rest of the ColourQ DT have to share with you today.